Learning a foreign language is intellectually stimulating and can improve opportunities for jobs and career advancement both home and abroad. UK citizens can apply to a number of foreign language grant schemes but terms and conditions do vary, so applicants need to review these carefully. The Leonardo da Vinci Programme helps students who wish to take vocational training in a European Union (EU) member country. The programme works by using a system of exchanges and placements. Interested students should apply through their employers or colleges, and they may be able to receive grants for help with travel costs and subsistence. This programme is only available to students who are permanently based in the UK. The EU runs a lifelong learning programme called The Comenius Programme, and part of the scheme caters for students who wish to become teachers. These students can teach English in a European college or school for three to eight months, and they can receive a grant is in the form of an allowance to cover basic expenses. Two other EU programmes involve working with partner organisations and countries. Under the Language Learning and Linguistic Diversity programme, five different organisations from five countries can form a partnership. Grants of €150,000 per year for periods of up to three years help these organisations promote networking and language skills. The EU’s transversal multilateral project has language grants of up to €200,000 per year. Projects must involve three or more organisations from three countries. The projects can last for up to three years. The overall purpose must be to increase understanding about the relevance of language learning, and create new language learning materials. Apart from European-wide grant schemes for learning languages, individual countries offer further opportunities. In France, for example, the Charles de Gaulle Bursary scheme gives grants of up to £800 to students aged 17 to 19. They must already have a reasonable command of French and be planning to work on a project in France for up to a month. The English Language Assistants Programme is another scheme that has grants available. The programme applies to undergraduates who must stay in France for a year as a condition of their course. It also considers grant requests from recently graduated students. The grant is in the form of a salary for a year’s teaching of English at a French college or school. The programme also allows students sufficient time off to pursue their own projects. Some industries offer schemes to develop foreign language skills. These schemes can apply to any language relevant to an industry’s business needs. The International Association for the Exchange of Students for Technical Experience (IAESTE) helps degree-level students with an interest in engineering, technology and science. Applicants will work for an employer for a period of three months and receive a salary. The Institute of Mechanical Engineers offers foreign language study grants for its members. Students and engineers can study foreign languages with a view to improving communication with colleagues abroad, and the available grants are worth up to £500 each. Although many grant schemes focus on students, modern language teachers also have chances to enhance their skills. Professional Development Courses for Modern Languages take place in Italy, Spain, Germany and France. The courses, which last a fortnight and encompass group work, projects and lectures, occur during school, college or university holidays. Grants are available to cover the course fees, and applicants can also receive grants for travel, accommodation and food. The John Speak Trust has scholarships available for people over 18 who wish to improve their knowledge of a foreign language. Applicants must intend to pursue a career in the UK export trade. They must also find unpaid work abroad or obtain a place at a school or university. The scholarships last for up to 10 months and are worth around £1,800. Anyone who would like to study the Chinese language either in the UK or East Asia can apply for a grant from the Great Britain-China Educational Trust. Grants are for the summer only, and are usually no more than £2,500. Institutions keen to promote Japanese language education in the UK should consider approaching the Japanese Language Local Project Support Programme. Projects should aim to maintain and improve Japanese language education. 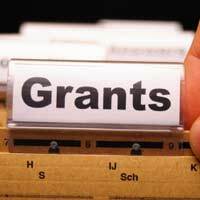 The grants can cover teaching materials and the costs of seminars and conferences. They can also cover the expenses of setting up Japanese language courses in schools and universities. Grant amounts vary but extend up to £3,000. For more information and advice on grants and funding in education, visit our Education Category on this site.